- How do I get my site to score in the top 10 on search engines like Google? - How does Google rank sites? - How does a website development company develop a site for doctors, physician medical practices and other healthcare providers? - How much does it typically cost to develop a website for a physician practice? - How is Medingenuity different from other web site developers? - How will the repeal of the Affordable Care Act (Obamacare) affect specialty physician practices? 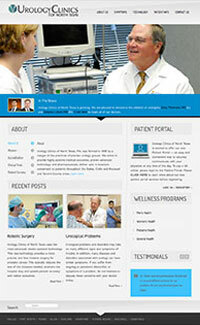 - What are the steps to develop a website for a physician practice? - What does Responsive Website mean? - Do I have to write all the educational content for a site or do you provide that educational content? - What specialties does MedIngenuity work with? - Why is it important to have educational content in a healthcare web site? How do I get my site to score in the top 10 on search engines like Google? Search engine optimization (SEO) is the process of making website pages as relevant as they can be for search engines to believe they are valuable enough to be considered for top rankings for as many key-phrases as possible. Being number one in Google is largely due to the reputation management of your healthcare physician website and how relevant pages are to keyword queries. By using keywords, SEO techniques and custom content, relevant pages with the most and the best links rank at the top of Google ranking. The websites that Google ranks at the top of the lists of its search results for a search term are the websites that Google considers to be the most relevant and useful. They determine which websites are the most useful and relevant by using a complex algorithm (mathematical process). A website ranked in 1st place is the website that the algorithm has given the most relevant to the user. Google is constantly reviewing, adjusting and updating its search results, so a website that is ranked 1st today could potentially not even be on the 1st page next week. How does a website development company develop a site for doctors, physician medical practices and other healthcare providers? 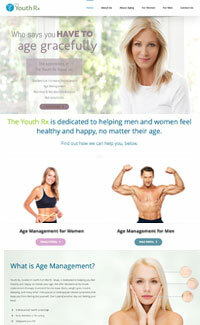 Medingenuity is a leader in healthcare website design and physician practice development. Medingenuity have 20+ years experience in medical website design and also functions as a healthcare advertising agency to professionals online and in print material. Medingenuity builds not only a custom looking, cost-effective website, but will also make it rank high on search engines. Medingenuity website development for physicians are also mobile friendly so they will work on all devices such as tablets and phones. Call us and we will assist you in creating the most effective healthcare website for your practice, using a proprietary marketing strategy and search engine optimization. How much does it typically cost to develop a website for a physician practice? A small site with minimum content can be set up for as little as $1,500. But more medically content-rich sites involve more time, but generally speaking an entire site can be built for under $4,000. How is Medingenuity different from other web site developers? Medingenuity works with physician groups, hospital systems, ambulatory surgery centers and healthcare consultants. MedIngenuity specializes in business development for healthcare in Dallas Fort Worth and also nationwide. 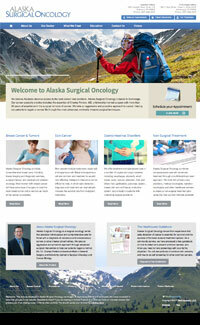 MedIngenuity does custom website creation for healthcare providers and companies locally and nationally. MedIngenuity involves the expertise of three MBAs specialized in the healthcare industry. We handle all the stages of branding and communication from new company start up to expanding the visibility of established practices and healthcare businesses. MedIngenuity has helped specialty physician groups, ambulatory surgery centers and healthcare consultants from all over the nation increase their visibility on the Internet to their target audiences. For specialists trying to communicate to referral sources and do direct-to-consumer communications, Medingenuity brings 30 years of expertise to understanding how best to reach these audiences with Internet sites, email marketing, educational print communications, journals, magazines, e-magazines, print ad campaigns, direct-mail campaigns, radio advertising, TV advertising and many other creative communication channels. We help each medical business develop an exit strategy to enable principals to position their business for sale, acquisition or merger as a retirement strategy. For start ups, MedIngenuity does name and trademark research to prevent expensive name conflicts; we then develop new names for healthcare businesses that are memorable and cut through the clutter. We handle all aspects of corporate identity for healthcare, from logos and wordmarks, to letterhead, business cards, e-magazine, e-mail marketing and creating content rich websites that score in the top 10 on Google for organic search. MedIngenuity was created by Prizm Development, Inc., the most experienced developer of spine Centers of Excellence. For 20 years, Prizm has worked in 48 of the 50 states helping physician groups and hospitals improve the way they care for back and neck pain with a non-surgical emphasis. How will the repeal of the Affordable Care Act (Obamacare) affect specialty physician practices? While the replacement to the Affordable Care Act will be in development in 2017, the likely direction is to steer the healthcare system back toward a competition-based industry to keep costs under control. The biggest trend by Medicare and other large payors is to move away from CPT-based reimbursement that rewards physician specialist and hospital for doing more tasks, rather than focusing on solving the patient’s problem. This means in 2017 more specialists will have to provide bundled rates that package the cost of an Ambulatory Surgery Center, the surgeon, the anesthesiologist and even the post surgical follow up care into one predictable price. MedIngenuity, with three MBAs specialized in healthcare, has experience in the development of global case rates for specialty care. It’s important for physician specialists to play an active role in the development of bundled case rates for surgery, otherwise others will protect their component fees first. MedIngenuity starts the process of developing a bundled rate for a surgical procedure by looking at the physician CPT codes typically involved with a surgical procedure, assembles the facility costs, develops averages and identifies what patient exclusion criteria needs to be specified to exclude high risk patients. While bundling of surgical procedures is typically the easiest way to start, it’s clear that government and large insurance companies also desire bundled rates for month-long episodes of care. For example, some payors have already contracted with physician groups for an entire episode of cancer care that can last as long as a year. So clearly, the trend in healthcare is toward predictable rates. What are the steps to develop a website for a physician practice? An online presence is no longer optional for healthcare providers. Patients are constantly seeking health information and searching for new doctors online. Some of the things that need to be done to create a physician practice include domain name registration, custom web design template, custom medical content and using SEO techniques to routinely keep the site in the top 5 in Google search results. Responsive Web design is implementing web technology within your website so that the website design and development should respond to the user’s behavior and environment based on screen size, platform and orientation. As the user switches from their laptop to iPad or any other tablet / phone screen, the website will automatically switch layouts and design to accommodate for different resolution, image size and scripting abilities. In other words, the website should automatically ‘respond’ to which device the user is using to view the website. Do I have to write all the educational content for a site or do you provide that educational content? Educational content is extremely expensive to compose and have medically verified. We have hundreds of intellectual property website pages for orthopedic, spine, urology etc. We lease this content out for a marginal fee, but the numerous medical content will nearly guarantee a top 5 Google ranking for certain keywords to attract patients to your practice. What specialties does MedIngenuity work with? MedIngenuity works with numerous medical practices and companies, including ambulatory surgery centers, urology centers, healthcare consultant companies, ear nose and throat practices, age management, and various other medical practices. Why is it important to have educational content in a healthcare web site? Patients routinely look up information on the Internet to find out why their back hurts, or why this ailment won’t go away, and need medical information to inform the patient. A website with a large volume of education content will not only score extremely high on Google, often ranking #1 in Google search queries, but helps guide the patient towards the answer they are looking for. Educational content should be informative, interesting and relevant. This gives you a more authoritative voice and gives you the edge over the competition who may not be posting any educational content at all. Educational content also demonstrates their medical expertise to the prospective patient and can book an appointment to the practice online in an easy 1-minute form.